With four virtue based kids animated stories, parents can now enjoy a storytelling bond with their little ones any time! Recording stories in the comforting voice of mommy or daddy’s, will benefit kids deeply. A regular hearing of these well paced gentle stories will enhance children's early literacy skills. Kids can be heroes like the great Mother Teresa, Mahatma Gandhi, Oprah Winfrey and many more. These great achievers are known for their powerful traits of courage, service, dynamism, compassion, generosity and many other good traits. New Best Friends shares four stories that show these powerful traits giving good storytelling company to every child. The stories combines gentle animated movies with highlighted read along subtitles and vibrant books to make the storytelling experience entertaining, educative and interactive. This blend will benefit a child to get familiar with sounds, words, language and the value of books. Making storytelling a part of ones daily routine can help in the overall self-growth of the child. “Read To Me”, “Read By Myself” and “Record My Voice”. It supports in developing early literacy skills of reading, narration, enhancing languages, developing verbal proficiency, improves listening skills and encourages creativity and imagination and memory power. The app is carefully designed to make a child’s storytelling experience non- violent, gentle to the ears and gives an educative and healthy environment for kids to grow. This app has NO ADS, making a safe place for kids to have a good storytelling company. To experience how all the three features work with the stories, A FREE BOOK- MOVIE in the app, shares a captivating animal story. The four stories in the app, have Heroic child characters, who set out on their triumphant adventures of life sharing good traits, and being inspiring heroes. “Simhaa” the wise child lion helps the aliens to know the secret to happiness! Baby Bear courageously rescues Mommy Bear from an evil hunter. Two beautiful friends write a special letter to Santa! What happens when a group of brothers and sisters set out on a creative journey! The stories are designed to suit all children at all learning levels. It’s features support dyslexic, autistic and hearing impaired children as well. The four stories are presented in three English accents; US, UK and Neutral English Accents. 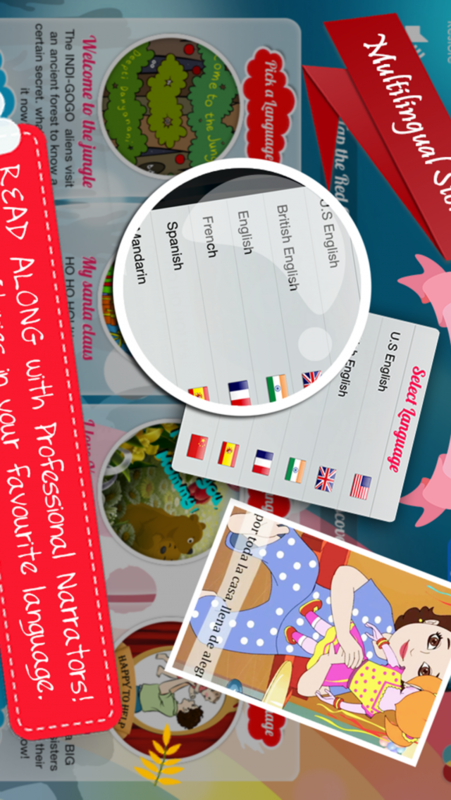 It also presents the same stories in three foreign languages; French, Spanish and Mandarin. To discover the four stories, prior to purchase, a sneak peak is available with the chosen language selected. 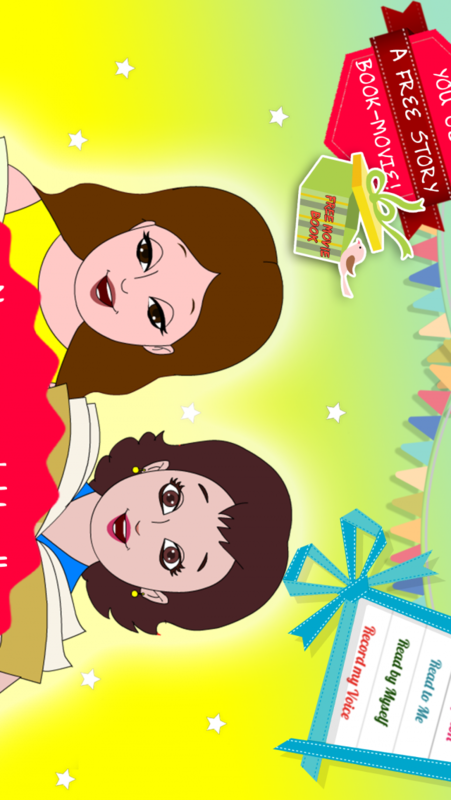 Deepti’s first creation is a Kids Story Book–Movie App called New Best Friends, that is a designed for the iPad device. The stories are written by Deepti and is created with the intention to entertain , educate and inspire through value based storytelling. The app has interesting features that has the capacity to help a child’s self –growth and also has an innovative feature to Record Stories in ones own voice to help enhancing literacy skills and also create a deeper bond between parents and children.